M30 convertible production saga continues…. 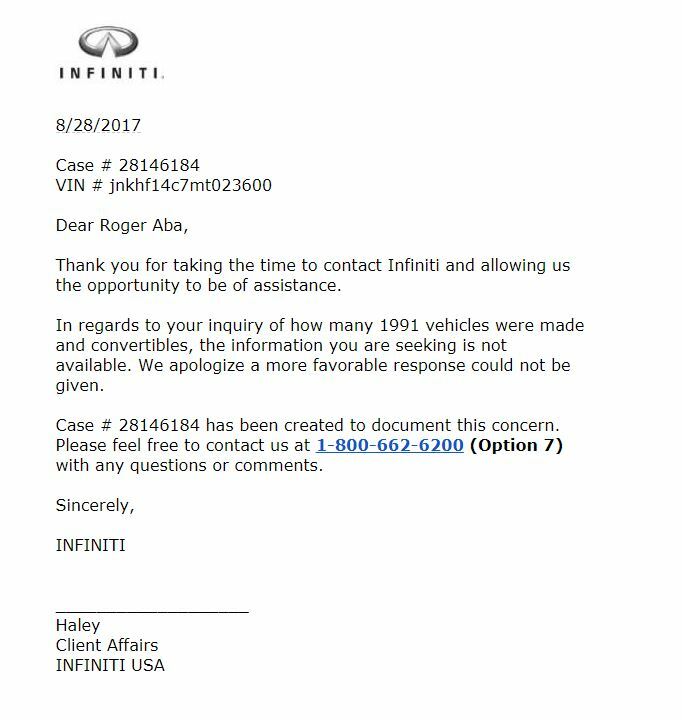 After Alan M. posted an email from Nissan North America giving the 1992 production numbers (from 2002), I had to at least try and see if they have the 1991 numbers. Again, I always say the further away we get from 1992, the more difficult it will be to get those numbers. 8/27/2017 I got a response and as I expected. This entry was posted in convertible, events, history, opinion, parts.